Millions of tourists travel to Las Vegas, Nevada every year as visitors, but for some the trip is one way. What makes so many newcomers want to make Las Vegas their home each year? With a city as diverse as Vegas, it’s natural that there are a multitude of answers. Here are 7 reasons to love living in Las Vegas. 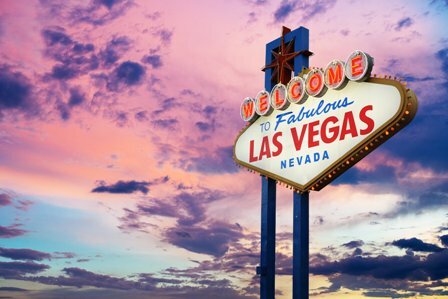 In 2008, a year that spelled financial ruin for so many, Las Vegas was named the second best city for jobs in the US by Forbes magazine, with a 5-year annualized job growth rate of 5.1%. Many of those jobs are in the housing market, which stays strong in Vegas as a result of the continuous population growth. The city also makes its living in big money industries: gambling, conventions and tourism. For entrepreneurs in any of those fields, a move is almost guaranteed to bring in more income. The job market is about much more than just tourism, though. The Nevada Department of Employment, Training and Rehabilitation says that other job areas have also seen growth in the last year. Transportation and utilities jobs make up 17 percent of the market, construction and professional services follow at 12 percent, and retail, education and health-related jobs also have shown steady growth. And again as a result of continued population and tourism growth, the construction industry remains a major employer in Las Vegas. Norman Mailer wrote this about the city: “The night before I left Las Vegas I walked out in the desert to look at the moon. There was a jeweled city on the horizon, spires rising in the night, but the jewels were diadems of electric and the spires were the neon of signs ten stories high.” That contrast between the rocky desert plateaus and the sparkle of a busy city make Las Vegas an ideal location for the person who wants a variety of landscapes. Living in Las Vegas can be like living in several cities at once. Just within a short driving distance are canyons painted red, lakes and lush forests, and ancient carvings left by dwellers from long ago. Nearby Mt. Charleston even provides a mountain retreat with skiing in the colder months, a stark contrast to the sights of Death Valley, which is also nearby. For the person who desires city life, but demands a taste of the outdoors for variety, Las Vegas has the variety in spades. Sure, summers in Las Vegas can be overwhelmingly hot, but an average of 312 days of sunshine a year means that you can go outdoors and enjoy the city almost all the time. What many of the locals say makes them happy about the city is that it has three distinct seasons, in contrast to some of the other western cities. Spring months are mild and virtually cloud-free, summers are hot and sunny, Fall, although too short for some, has gorgeous warm days with cool nights, and winter is cooler with an occasional snowfall. Once again, Vegas’ variety makes it ideal. Las Vegas has a cost of living that is slightly below the national average, so many of the people relocating to the city each year are simply looking for financial relief. Sure, Las Vegas costs more than rural cities, but for a bustling big city with big city advantages, it is certainly more affordable than its counterparts. By contrast, New York City has one of the highest costs of living in the world. Adding to that, many Vegas jobs pay better than their equivalents in other towns. The absence of an income tax makes the city even more attractive for those looking to save. Las Vegas actually has the lowest tax rate of any state in the nation. Not only is there no income tax, but Nevada also levies no inheritance, gift, estate, franchise, inventory or corporate taxes. The sales tax is 7.7%, and the state exempts groceries and medicine from sales tax. Resident foodies are in luck in Las Vegas, which has a plethora of world-class restaurants, and some of the most famous chefs in the world. Local residents with identification can often get bargains that aren’t available to the tourists, so it pays to have roots. Living in town means that you have all the time in the world to try the best restaurants. What’s even more exciting for locals, though is the chance to find the smaller niche restaurants in other parts of the city. Specialty ethnic restaurants include nearly everything: Guatemalan, Italian, Sicilian, Jewish, Creole, Peruvian, French, Chinese, Thai, Bulgarian, Greek, Korean, Indian, Scottish, German, English, Japanese and Mexican. The fact that there are so many drivers in the city of Las Vegas, and a large number of commuters to boot, city planners are very much on top of their jobs. A top priority is ever-increasing improvement to the roads and freeways, and the city also constantly looks at ways to increase the mobility of its driving citizens. The bus system is convenient too, with the CAT (Citizens Area Transit) system operating 49 different routes through the city. Trolleys and buses go to the Strip every fifteen minutes, and they operate around the clock for 24 hours a day. Major points of interest in the city are linked by the Las Vegas Monorail. The nearby McCarran Airport is the fifth busiest in the country. The bottom line: you’ll have no problem getting around in Las Vegas. The city is an arts lover’s dream, and many of the big shows in town offer discounts to local residents, so seeing the world-class performances is afforded. The arts scene isn’t limited to the glitzy shows on the Strip, however. Vegas has a thriving fine arts scene as well, from the Las Vegas Philharmonic Orchestra to the Nevada Ballet Theatre. The city’s First Friday events are becoming increasingly popular. The first Friday of each month focuses on local artists and musicians in the downtown Arts District, and many of the events are free to the public. Don’t forget the museums: the Bellagio Gallery and the Guggenheim are just a few of the nationally acclaimed galleries.